The Competition Commission of Pakistan (CCP) approved what is the first major merger in the history of mobile telecommunications in Pakistan: namely that between Mobilink and Warid. In doing so, the Mobilink Warid merger is unquestionably guilty of killing the brand identity of at least one of the merged parties. Leaving aside the highly focused upon “financial benefits” (cost leadership, revenue synergies etc.) of the Mobilink Warid merger as persuasively argued by Messrs, Mudassir and Rehman in their article, it is time to take a look at what the merger means from a branding perspective. When Warid entered the Pakistan market in 2004, it wasted no time in establishing a nationwide network covering 28 cities on the back of Pakistan’s stellar reputation at the time as “a top 10 Asia Pacific country with one of the fastest growing markets in the world in terms of net subscriber additions”(www.telecoms.com). The advertising was equally stellar. With the tag line “Be Heard” and the spellbinding Jhoomo re Saawan Ayo sound-track to accompany it, Warid’s launch TV commercial inspired us to “Be Spontaneous” and to “Be One with 145 million people”. In stark contrast to today’s patience-draining telco ads, it had all the ingredients that make an ad extraordinarily memorable and make it click across various socio-economic classes. With unpretentious branding and innovative packages (“friends and family”, 30 second and per second billing) as well as un-rivaled customer loyalty especially among post-paid users, Warid had captured 10% of the market ahead of rival Telenor by end 2005 (BMI) and by mid 2006 had dented market leader Mobilink’s share from 58% to 51% (PTA). Despite its remarkable growth, the Warid brand began losing its ability to “be heard” from 2009 onwards due to the economic downturn, sloppy internal management and infrastructure investment by new entrant Zong. After being overtaken by Zong in 2011 (PTA) and left with the smallest market share, the Warid brand was further battered by take-over rumours from Zong and Telenor. Eventually a serious offer to acquire 100% of Warid Telecom was put in by PTCL in Sept 2013 and the mobile telco industry had practically written off Warid as a player without any significance reducing the brand to no more than a whisper. Imagine the industry’s astonishment then when Warid ingeniously landed an LTE license during the April 2014 3G/4G license auctions! The nifty move of re-farming existing spectrum meant that Warid became the first mobile telco in the world to go directly from being a 2G player to a 4G one. Leaving the only other 4G licensee, Zong, struggling in its wake, Warid was undeniably the one being heard by both its loyal (albeit small), high ARPU customer base and the many new subscribers who aspired to be on its superior quality LTE network. So Then Can Warid Still Be Heard? But what will happen to the Warid brand once the Mobilink Warid merger enters Phase 2 and the two companies officially “merge into one”? Will Mobilink be able to carry over the enviable post-paid and central region loyalty of Warid’s LTE customers while trying to regain the premium brand image it lost years ago? As with the EE (Everything Everywhere) take-over of the outstanding Orange and sturdy T-Mobile brands in the UK, it is most likely that Mobilink will ensure that Warid slowly disappears from visibility. In combining two physical networks, brands and retail operations for Phase 2 of the Mobilink Warid merger, Mobilink will start a “slow kill” of a brand that won the 4G branding race head one and ever so smartly created the “buzz” for the 4G market. No one will be able to sell 4G the way that Warid has. 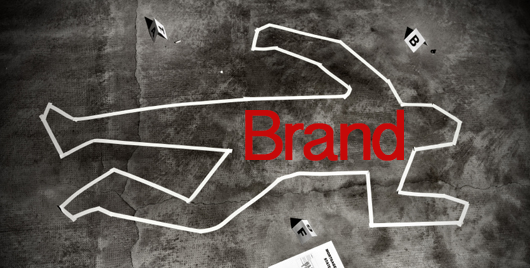 The demise of the Warid brand should be mourned by all those who venerate phenomenal brands – too the fact that Mobilink showed no hesitation to be party to the cull. Update: The Mobilink, Warid Merger has now been fully approved by PTA. Please read the news here. The research and views expressed in this article are that of the author and do not necessarily represent the view point of the blog. Yasmin Malik is a Telecoms Analyst associated with the UK’s largest telecoms research and analytics firm, Informa Telecoms & Media. With over 15+ years of professional experience, Yasmin is a very strong advocate for all things “Mobile” and has written and spoken extensively about the potential of the mobile platform through both local and international publications and forums. 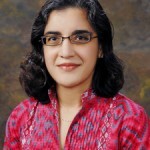 Currently she is a Visiting Faculty for an MBA course on “Mobile Marketing Strategies” at the IBA, Karachi.